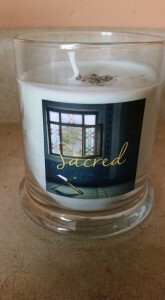 Pure soy candle. Hand poured in small batches. Each contain therapeutic essential oils and dried organic herbs. Relax with lavender and chamomile or energize with fresh citrus fragrance. Shift your energy and lift your mood. Honor life and the journey. Declare your intentions and personalize your candle before lighting. Perfect gift for all of life’s celebrations new job, new home, wedding, anniversary, baby, return to health to name a few!